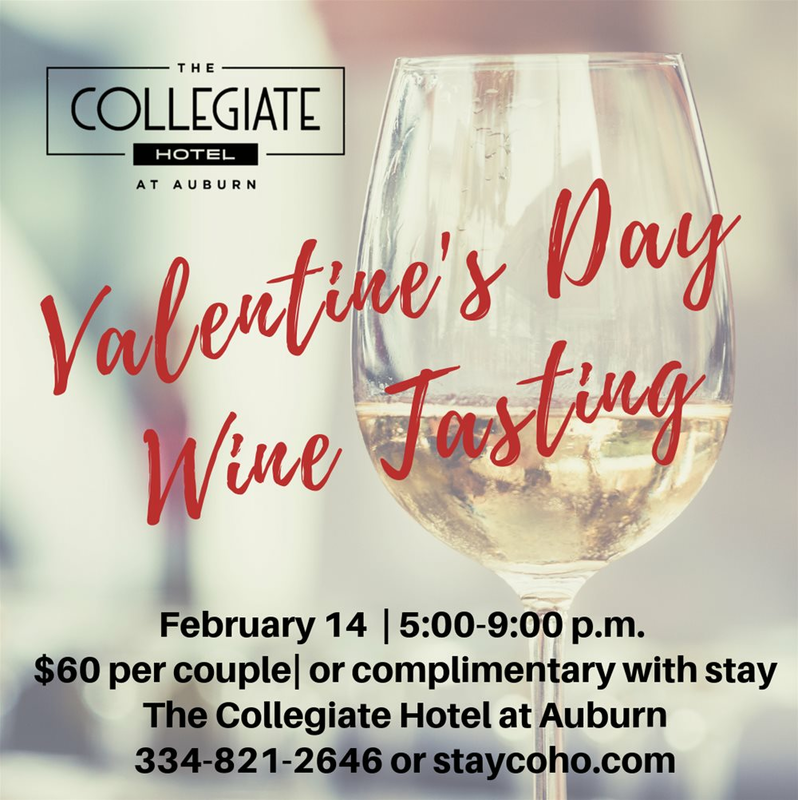 Enjoy your Valentine's evening with a wine tasting at The Collegiate Hotel for $60 per couple. Stop by anytime from 5-9 p.m. at The Bat at Wittel inside The Collegiate Hotel for a guided tour with a local sommelier as we sample 4 wines, each paired with a small bite. You must be 21 years or older to purchase tickets or attend the event. For the event only, please park across from the hotel in the gravel lot. There are no refunds for the event.